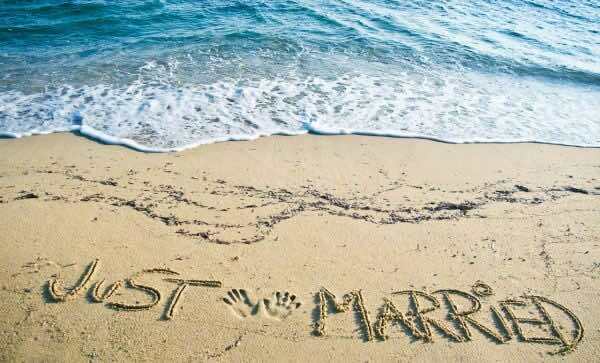 Most people, married or not, have no problem describing their ideal honeymoon. After all, movies, TV shows, books, and even music often depict honeymoon as one of the happiest times of a person’s life. But where does the word “honeymoon” come from, and what does it actually mean? Apparently, honeymoons haven’t always signed the same degree of luxury they often do today. From its root, the term “honeymoon” has always gone back to the celebration of newlyweds, but beyond that, there have been some notable differences in tone and approaches throughout history. Now, even in modern times, there are all different approaches to honeymoons. For some couples, budget-friendly honeymoons are key to enjoying their trip, while others choose to splurge on what may be the trip of a lifetime. Following tradition, many couples still choose to travel during their honeymoons, although it seems people are getting more adventurous with their honeymoon destination ideas. Some couples choose to forego honeymoons entirely, which is also a valid route to spending quality time together and bonding with your partner. Here are some romantic places you should opt for your honeymoon in Vietnam. Dalat is the honeymoon capital of Vietnam and it’s easy to see why. You may think of the perfect honeymoon destination being warm, sandy beach. But most Vietnamese already live in a very hot environment and beaches line the coast. Dalat offers something special for Vietnamese – chilly weather. It never gets cold, but it can get down to 10C at night. During the day it never gets too hot since it’s 1500-2000m above sea level. It is very windy though. Dalat and the Central Highlands are a breadbasket of sorts. They grow coffee, vegetables, some fruits, lots of flowers and more. It’s amazing to see all three types of coffee growing in one place (Arabica, Robusta, and Mocha). Because of the romantic atmosphere and landscapes, many Vietnamese couples choose Dalat as an ideal honeymoon destination as well as a unique place for wedding photography. 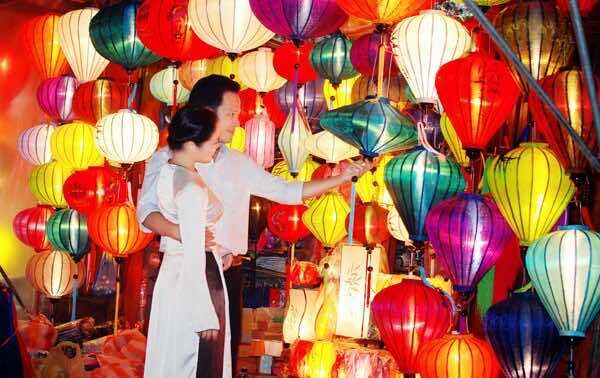 Hoi An is a perfect honeymoon destinations for a historical, cultural romantic getaway. Walking on Hoi An’s old heritage town is a unique experience as you will find almost no traffic and pollution out there. Mingle with the local while trying the exotic and tasty street food in Hoi An, lots of various snacks are ready for you to savor at affordable prices. At night, be amazed by hundreds of lanterns that hung beautiful along the streets carving out a very romantic moment for the both of you to remember. Nha Trang with blue sea and white sand is worthy of ideal paradise for couples to make the most of happy favor of honeymoon in warmness of tropical sunlight. Apart from offering guests tranquil beaches to lounge on and various activities outdoor activities for more adventurous travelers, Nha Trang also boasts a surprising array of cultural sites and entertainment options. Nha Trang is an active sea city and rich vitality with new opened-roads, new bridges, coastal resorts, new works which are changing day by day and especially, local people is very friendly and gentle. All these things will create good impresses to domestic and international despite of only one time. Phu Quoc is called as the paradise for honeymoon in Vietnam. There are many beautiful, romantic and great islands in Asia for honeymoons but Phu Quoc – the crystal island of Vietnam is one of the most attractive one. Traveling to Phu Quoc Island, you are visiting Vietnam’s most famous home of high-quality black pepper, traditional fish sauce, and natural pearls. It is not difficult to recognize couples hand in hand take a walking at the beach in romantic night space. One more fascinating thing in Phu Quoc is sea-diving and seeing coral reefs. Scattered around the Thom island, Roi island, you can dive and watch a lot of stunning colorful coral reefs. When it’s time to plan a once-in-a-lifetime honeymoon vacation, most couples look for a heavenly romantic private trip that can be remembered forever. 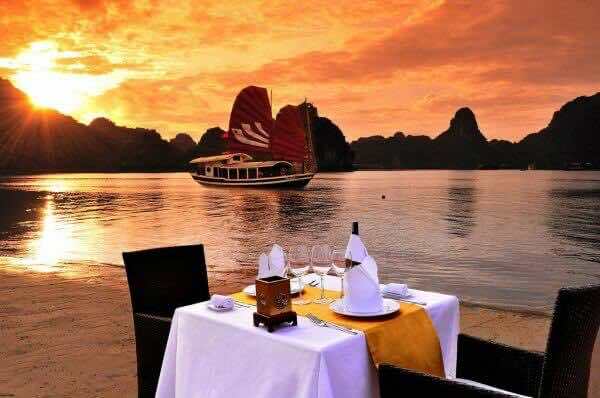 And Ha Long Bay is a suitable destination for young couples to enjoy romantic dinners together, bathing in the blue water of the sea, or exploring the rocky mountains and caves. For those who have heard the name for the 1st time, Ha Long Bay is the most beautiful bay located on the Western side of the Gulf of Tonkin in Northeastern Vietnam. It has almost 2000 islands and islets in various shapes and sizes, of which mostly limestone. Bai Tu Long bay to the northeast and Lan Ha bay to the southwest are your best options while visiting Ha Long bay. They all share a similar climate, cultural, geological, and geographical characters. It is possible to assert that Sapa is the honeymoon paradise for couples. Traveling here, they can hold their hands to experience the fanciful mountainous landscapes and perceive the cool ambience, which will bring back the sweetest memories in their life. Sapa has many beautiful places such as Ham Rong, orchid garden, Silver Falls, Sapa ancient rock or Cat Cat village, and O Quy Ho. Not only that, what enhance the value of their trip is to discover unique cultural features of the Vietnam’s ethnic communities and taste irresistible cuisines here. Coming to the charming land along your honey would be great experience. Standing in the warm embrace of your beloved, between heaven and earth vast, clouds flying the top mountains, sandy beaches will certainly be unforgettable memory for couples.